Situated on the northeastern plateau of Thailand is the first boutique resort in Khao Yai, Greenery Resort – Khao Yai. For guests looking to explore the wildlife of the region, the resort is close to Khao Yai National Park. For guests looking to use Greenery Resort – Khao Yai as a base for exploration, Bangkok is 191 kilometers away and 24 kilometers from Pakchong. This 3.5-star hotel is two-and-a-half kilometers from the Khao Yai National Park. The resort provides many exceptional recreational activities such as paint balling, bowling, horseback riding, ATV driving, and quad biking. 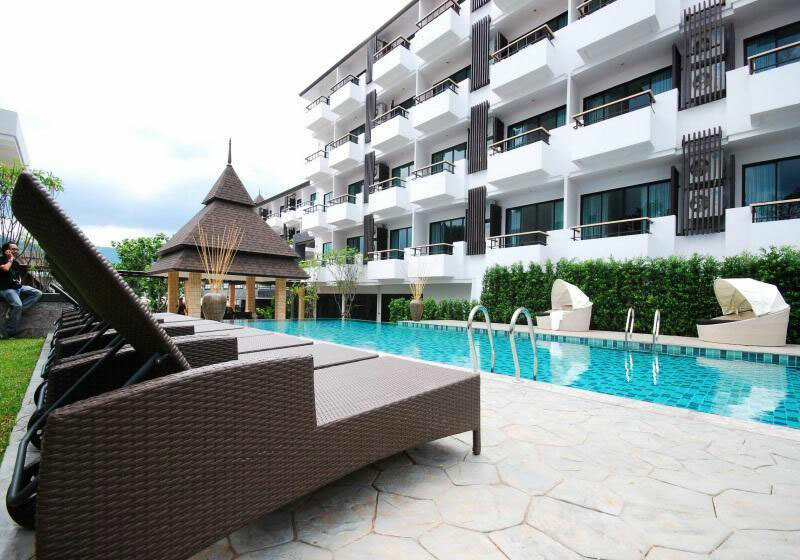 The onsite restaurant and pub faces the swimming pool and serves traditional Thai cuisine. Short Description: Situated on the northeastern plateau of Thailand is the first boutique resort in Khao Yai, Greenery Resort - Khao Yai. For guests looking to explore the wildlife of the region, the resort is close to Khao Yai National Park.